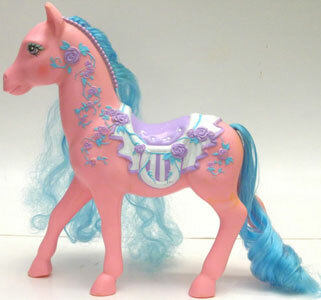 MLP Year 9 had twelve new sets of ponies, three of which were only released in the UK/Europe. 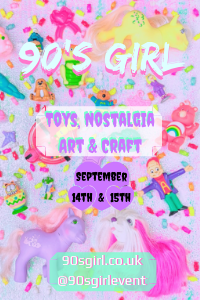 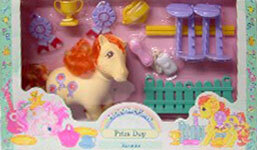 There were four new special offers, three new playsets and one new accessory. 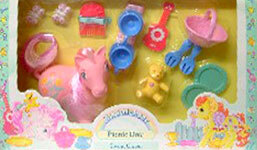 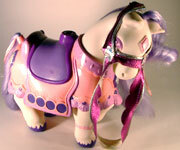 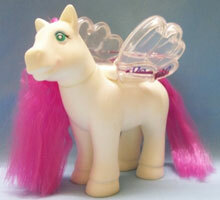 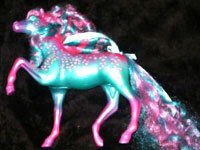 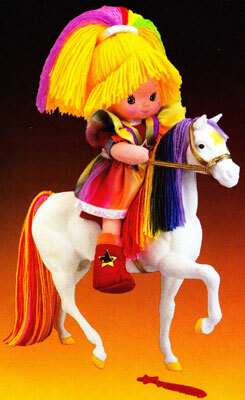 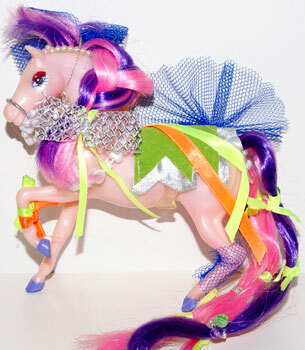 Sweet Clover, The Picnic Day Pony was only sold in the UK and parts of Europe. 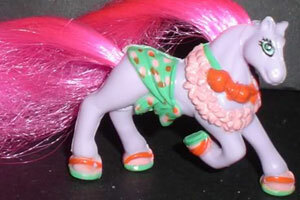 In the UK she had a pink body, whereas in Europe her body was peach. 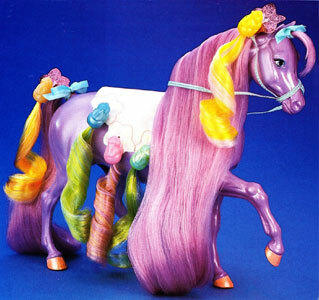 Rosette, The Prize Day Pony was only sold in the UK and parts of Europe. 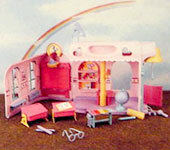 Schoolhouse was a UK/Euro playset, and was never sold in the US. 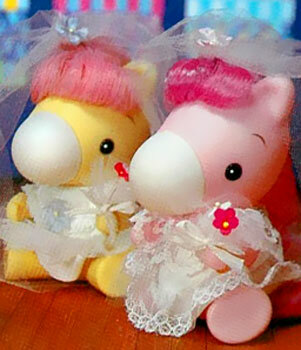 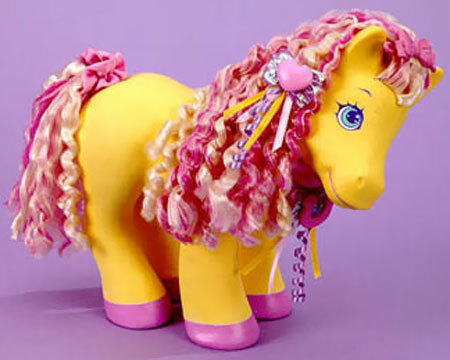 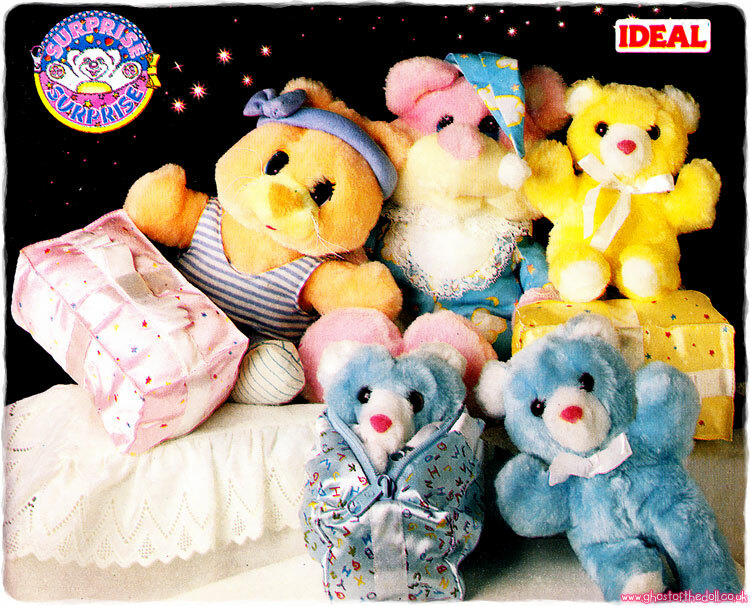 The Playschool Baby Ponies, also released in Year 9, were designed to go with it, and the Schooltime Ponies could be used as teachers. 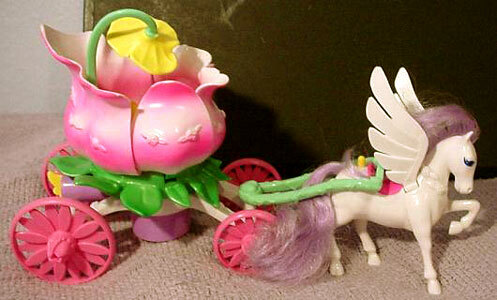 The playset came with many accessories. 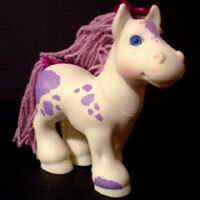 Firefly's Adventure was originally shown on US TV in 1984 and simply called "My Little Pony". 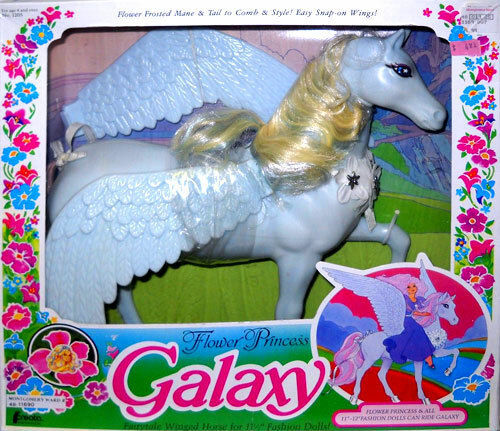 Year 9 saw it released on VHS for general sale and included pony Firefly. 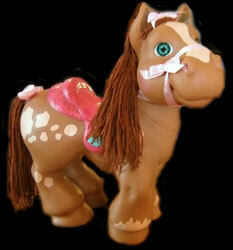 This version of Firefly was posed differently from Year 2's version and also had a non-glittery symbol. 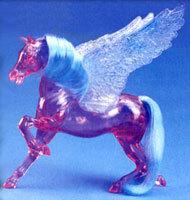 Neither the VHS nor this version of Flirefly were sold in the UK.